Pinterest has become an online phenomenon as a visually driven social network where users create virtual pinboards that they fill with images from around the web. 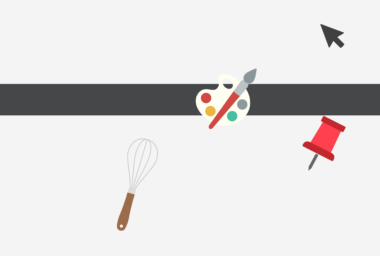 People share images of things that pique their interest by “pinning” them on pinboards in an array of categories such as fashion, cooking, and crafts. Other Pinterest users pass them on by “repinning” them to their own pinboards. Its explosive popularity has made it the fastest-growing social site today and turned it into a powerful business and marketing tool for brands, since many of these “pinnable” images are actually marketing materials for brands. The “pinned” images allow companies to promote their products and establish their brand personalities in a highly sharable forum. The distribution of these images typically retain their source links and help drive referral traffic to brand websites and encourages brand adoption among the Pinterest community. 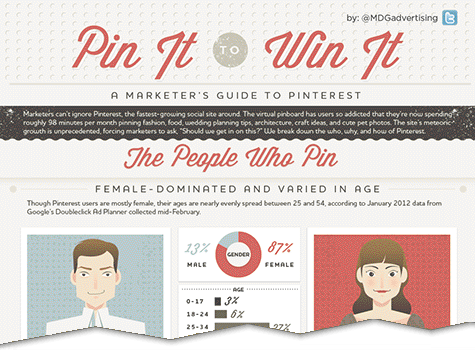 For a closer look at how Pinterest has become a major marketing tool, MDG Advertising created this insightful infographic that illustrates the demographics, unique visitors, and companies jumping to get in on Pinterest’s popularity.